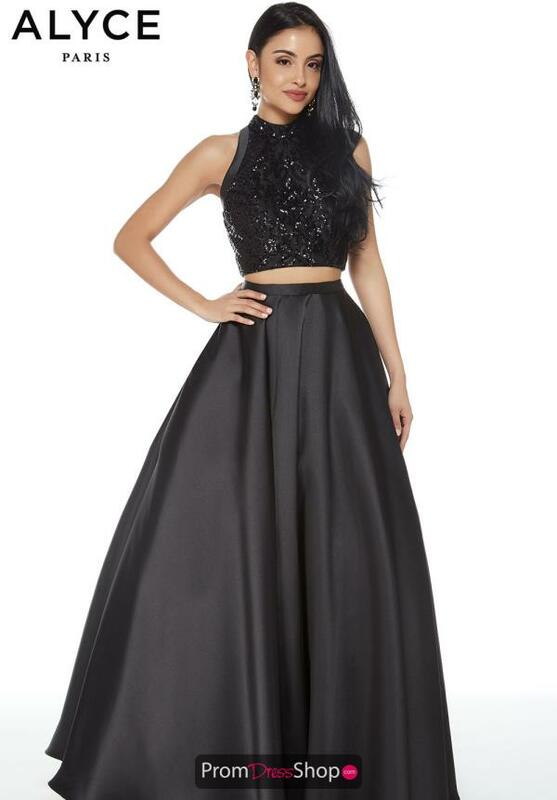 Dramatic homecoming dress 60277 features a sequined crop top with intricate detailing to start the look. The bodice is fitted and offers a halter neckline. The back is opened with multi-crisscrossed straps for a unique back closure. The full skirt is made from a Mikado material and goes perfectly with the design of the dress.